United State Agency for International Development (USAID), has revealed that, about 1million Nigerian children out of 57 million Nigerians die on yearly basis because they did no have access to water. USAID Mission Director, Stephen M. Haykin revealed the shocking revelation in Kaduna on Thursday at the occasion of official launch of Water, Sanitation and Hygiene (WASH). To this end, he said the USAID is supporting the WASH programme with 2.5 million Dollars to enable Nigerians have access to potable drinking water. “Having a clean water and sanitation is very essential for the development of a healthy society”. “Research has shown that, over 57 million of the Nigerian population don’t have access to potable water and sadly, about one million Nigerian children die yearly for lack of potable drinking water”, he said. Earlier, WASH project Coordinator, Timeyin Uwejamomere, said the project is expected to last for two years, ending in November 2018, adding that it will primarily target urban areas and focus the States of Bauchi and Kaduna. He said this was because the respective State government have demonstrated firm commitment to the water sector. He said, “This is why we established a country office in the city of Kaduna, and last month a satellite office was opened in Bauchi. “The programme will strengthen institutions as well as research and knowledge management to support urban water, sanitation and hygiene”. 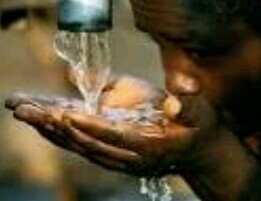 In his speech to the occasion, Kaduna State governor, Malam Nasir El-rufai who was represented by his Chief of Staff, Malam Bashir Saidu said when Zaria water work is completed, it will provide 150 million litres of water for the populace. Also, the Bauchi State governor, Alhaji Mohammed Abubakar regretted that the influx of Internally Displaced Persons (IDPs) in the State has increased the demand for water supply at the expense of original supply. He therefore pledged the commitment and political will of his government to ensure the success of the project.